Last month we put the spotlight on 5 artists on The Commissioned and their favorite subject matter. (If you missed it, head on over to 5 Artists and What They Love to Paint Most) This time, we’re bringing you 8 more talented artists who are passionate about what they paint, covering a diverse area from fashion to architecture. As graphic designer and illustrator by trade, it is fitting that Daryl’s signature subject matter is fashion illustration. His background in fine arts, however, explains the great detail and artistry of his illustrations, each bursting with intricately drawn depictions of foliage, animals, and humans alike. More of Daryl’s fashion-influenced art can be found at his artist page. Raquel has made a living of her craft for many years, but in spite of her ability to create commercially-viable artworks, she still stays faithful to her favourite subject matter - mother and child portraits. Her creations have a soft, idyllic quality to them that perfectly captures the loving bond between parent and child. 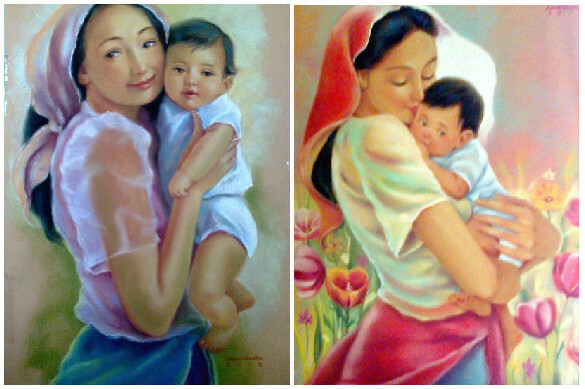 Thinking of commissioning a lovely piece for a mother-child duo in your life? Visit Raquel’s artist page today. American artist Julia Watson marries art and science in her realistically rendered oil paintings of flowers. Julia draws inspiration from the beauty of nature around her, but uses skills of observation and attention to detail in her work, skills that she honed as a former research scientist (with a PhD in Microbiology to boot). Julia’s other paintings can be found at her artist page, write her a brief to get started on your commission today. Usha’s preferred subject matter is people, and she has developed her own unique method for taking the vitality and life she observes in her subjects, and putting those qualities on a canvas, magnifying what Usha identifies as each individual’s “glow”, or “inner beauty”. 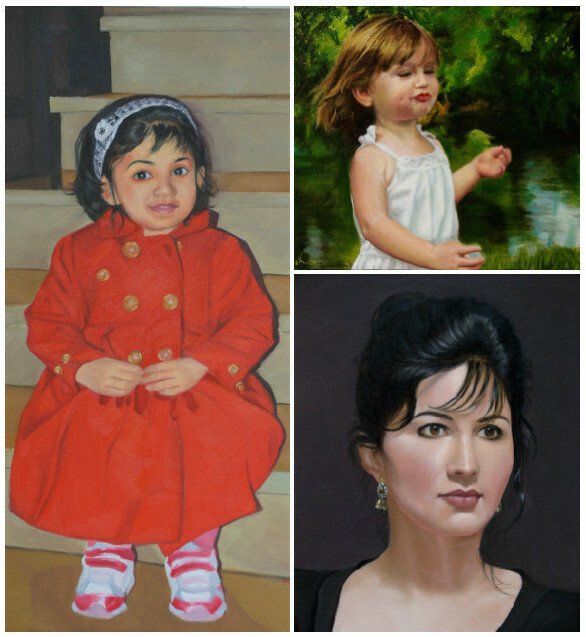 Commission a portrait for someone whose inner beauty you admire at Usha’s artist page. 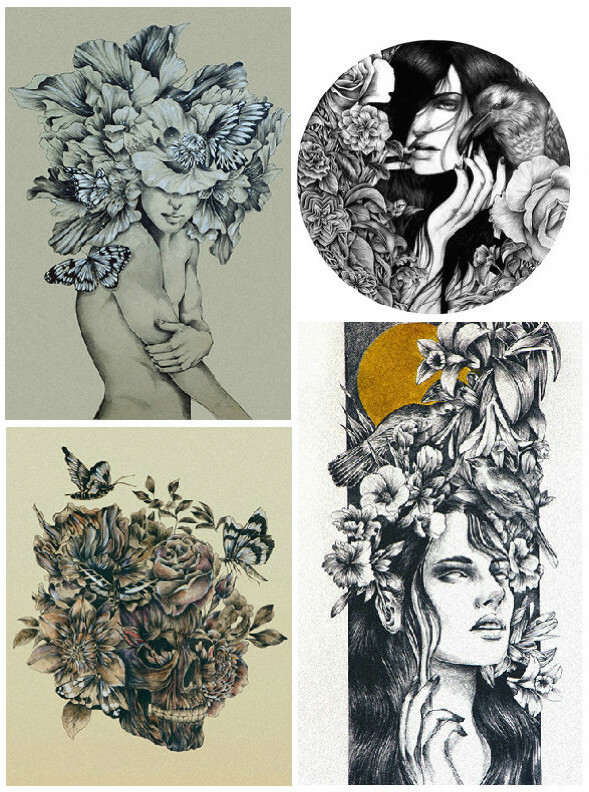 A mysterious artist of few words, Alina is “just a girl, captivated by creativity”. 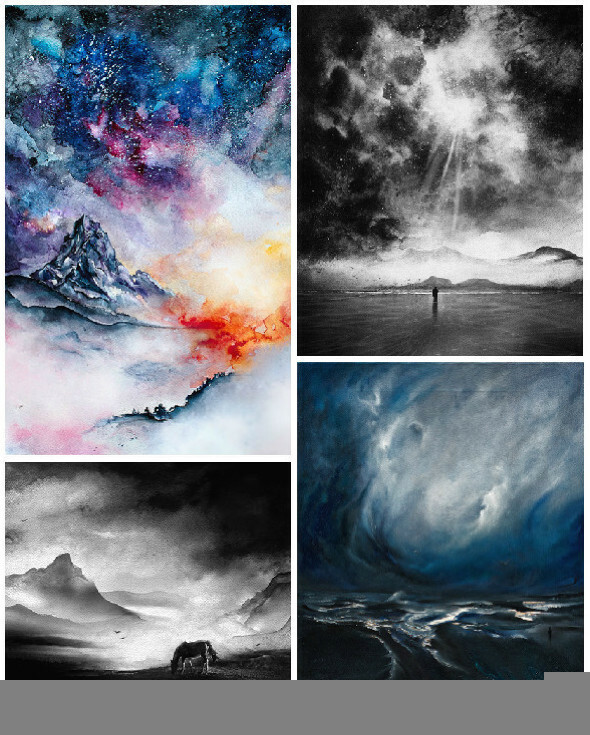 Her ethereal landscapes of towering mountains against starry, stormy skies are just as captivating. A talented photographer as well as visual artist, Alina paints an intensely beautiful interpretation of the grand scale of nature’s landscapes. Visit Alina’s artist page to commission the landscape art piece of your dreams. A highly intuitive artist who feels his way through the creation of each artwork, Dario gives himself ample freedom and space to go where his art takes him. 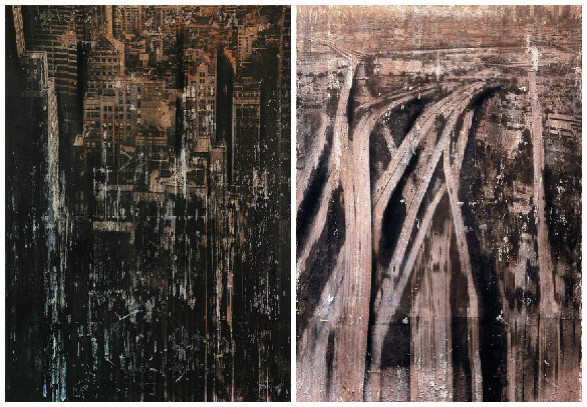 Using a variety of materials and techniques, he experiments with methods to create the right effects that fully express the grit and worn quality of his city skylines, only stopping when the piece feels right. If you’d like to see more of Dario’s expressive works, visit his artist page. Victor’s oil paintings capture texture and drape so faithfully you’d easily mistake them for photographs. He skilfully depicts folds, bends, and even wrinkles in cloth and paper. Often, the works have a touch of symbolism and mystery with the placement of seemingly random objects in the painting, such as broken lightbulbs. 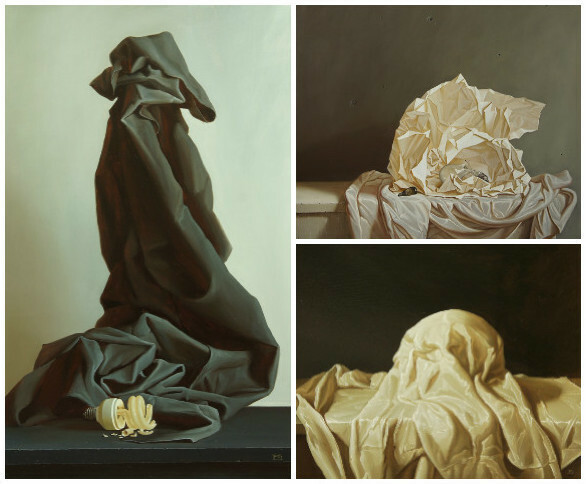 Clockwise from left: Still-life with black drapery, white still-life, and still-life with white drapery, all by Victor Ponomarenko. Incorporate Victor’s signature style in your commission. Visit his artist page today to start co-creating your very own work of art. Peranakans, also known as Baba-Nyonya, are a racially diverse community in Singapore and Malaysia famed for their rich culture, historical significance, and financial wealth. 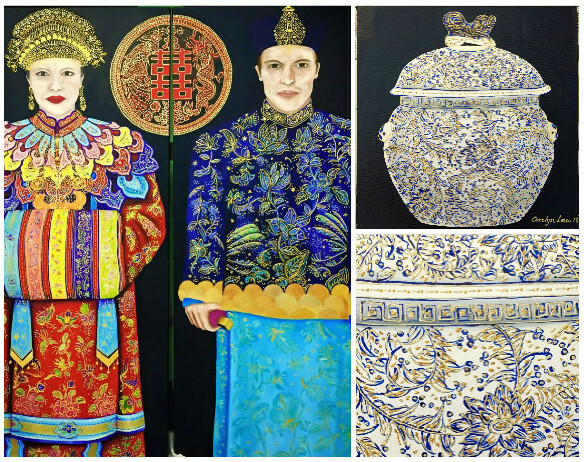 Being Peranakan herself, Singaporean artist Carolyn Law explores issues with cultural identity through art, creating highly detailed paintings in homage to her own Peranakan ancestry. 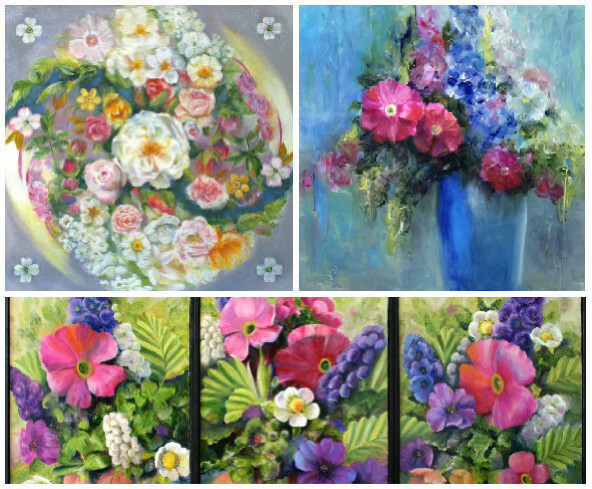 Commission your very own Peranakan-inspired work at Carolyn's artist page.